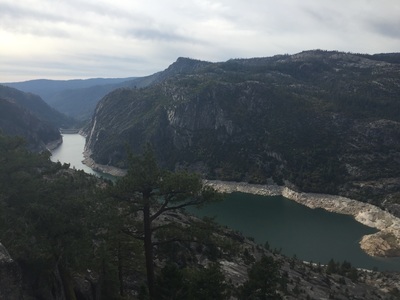 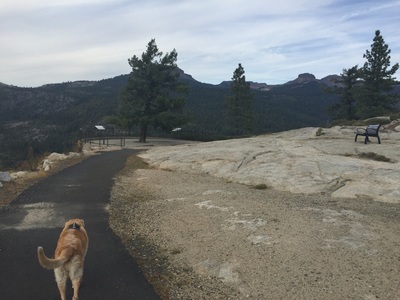 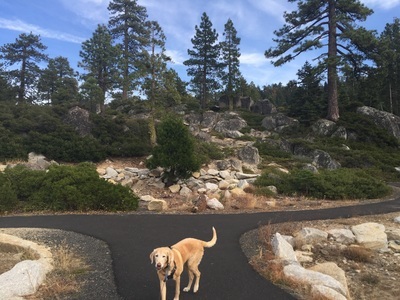 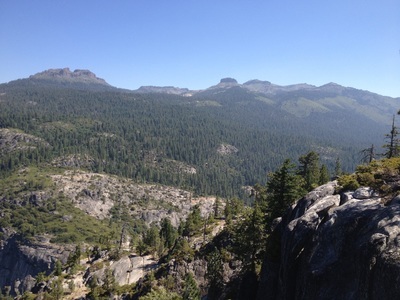 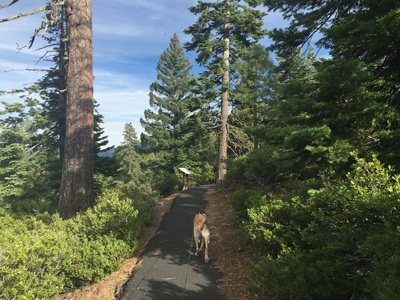 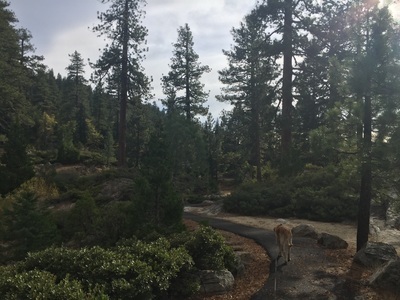 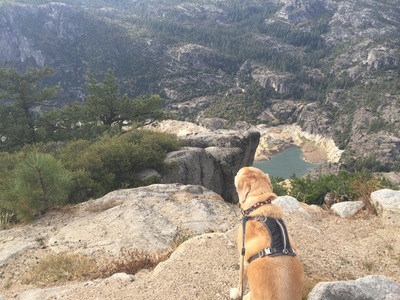 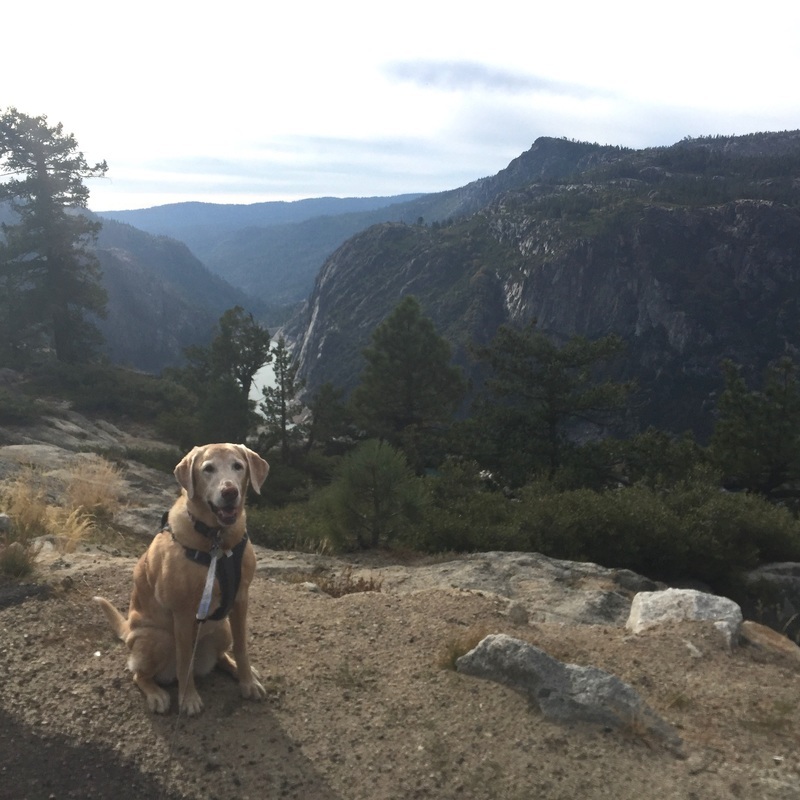 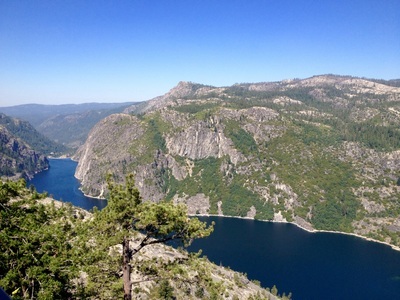 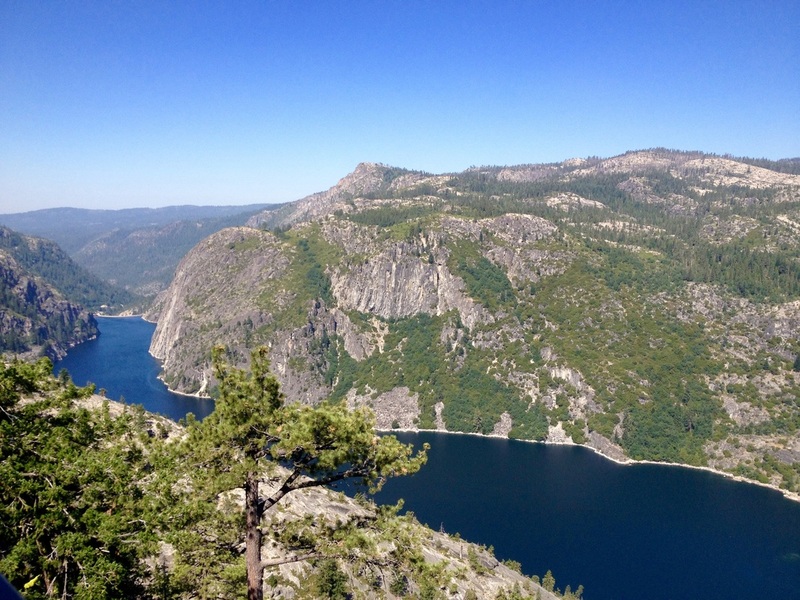 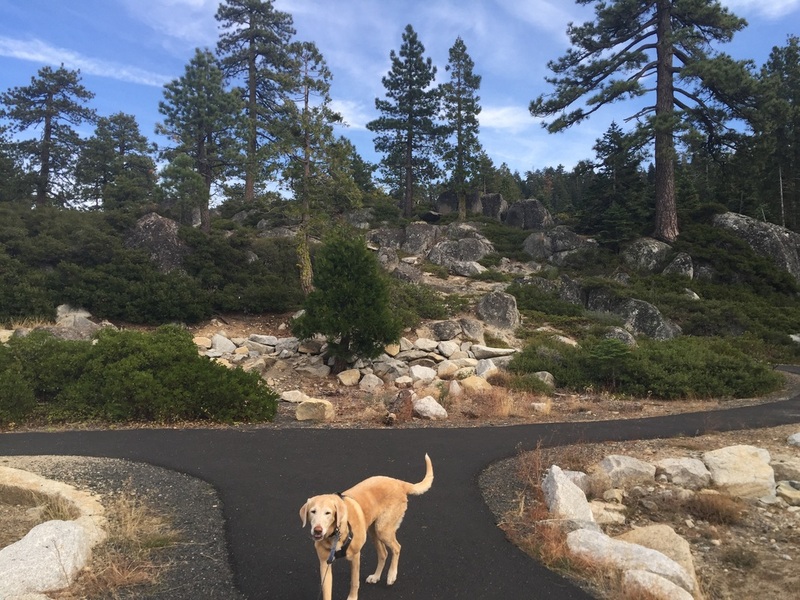 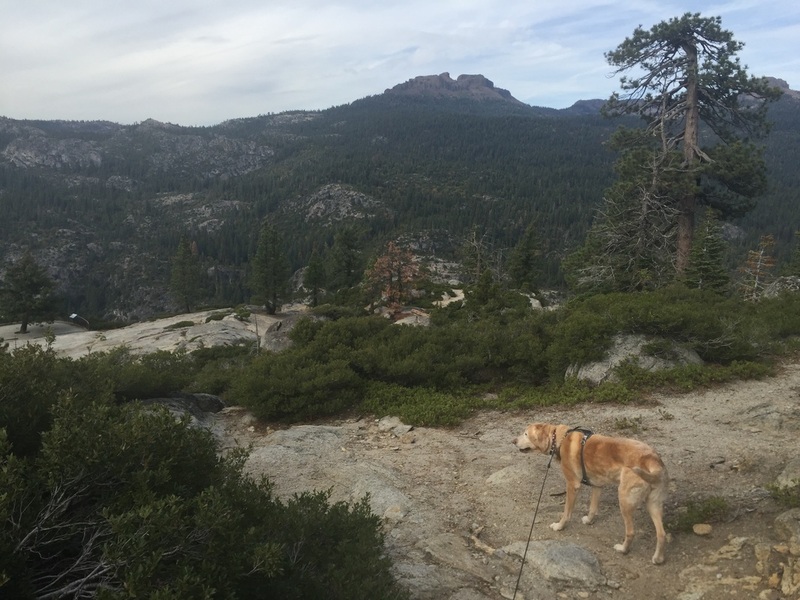 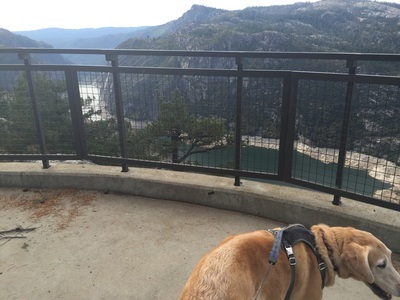 Description: This is a short walk to a gorgeous overlook standing over 6,000 ft above the Middle Fork Stanislaus River Canyon and the Donnell Reservoir. 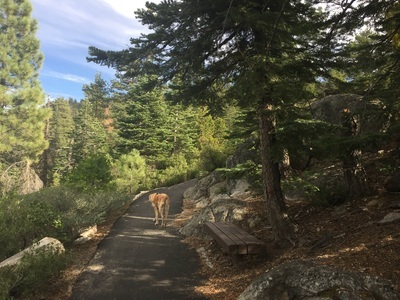 An easy, paved trail winds around the ridge with nearly 360 degree views of the Whittaker Dardanelles mountains and the Dardanelles volcanic peak. 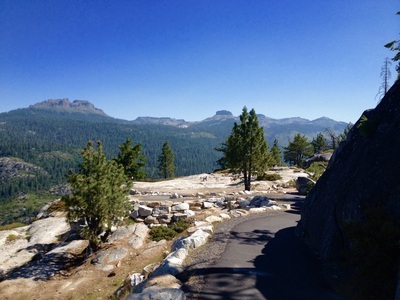 If you're traveling on Sonora Pass, the detour is well worth it. 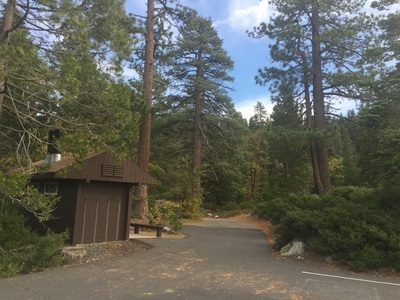 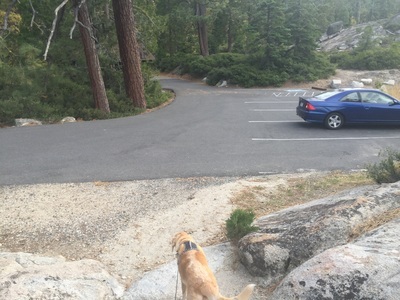 It's a great place to take a break from driving, as there are picnic tables and restrooms. 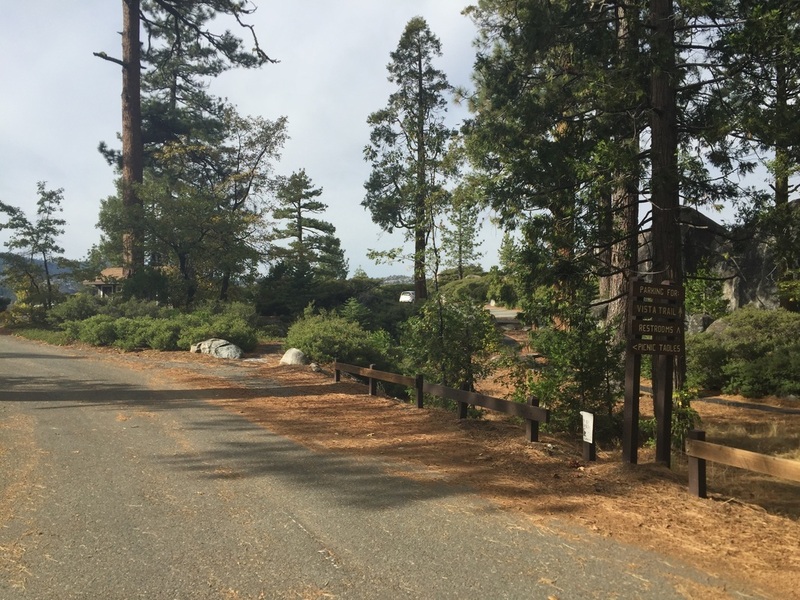 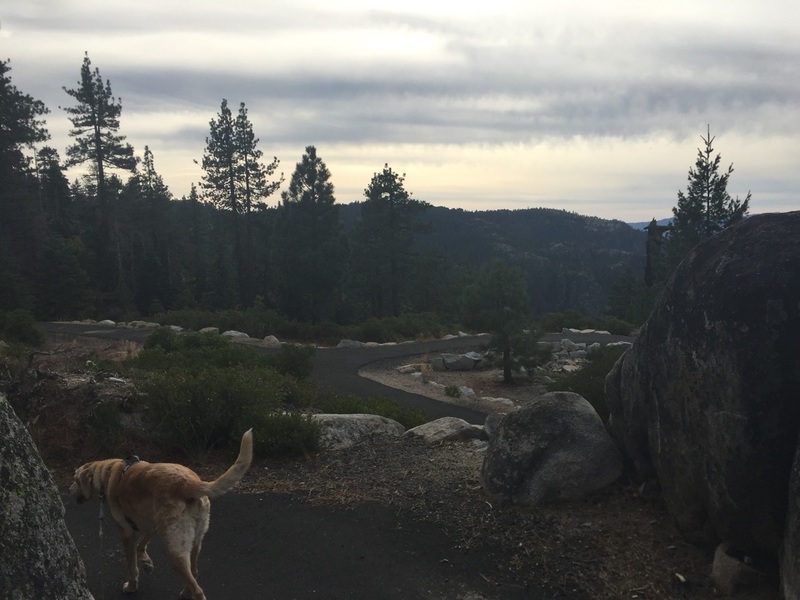 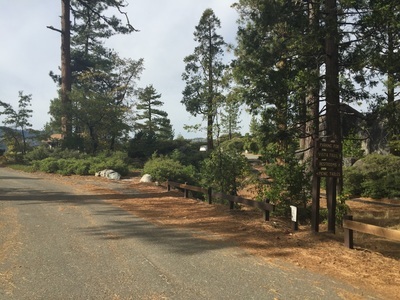 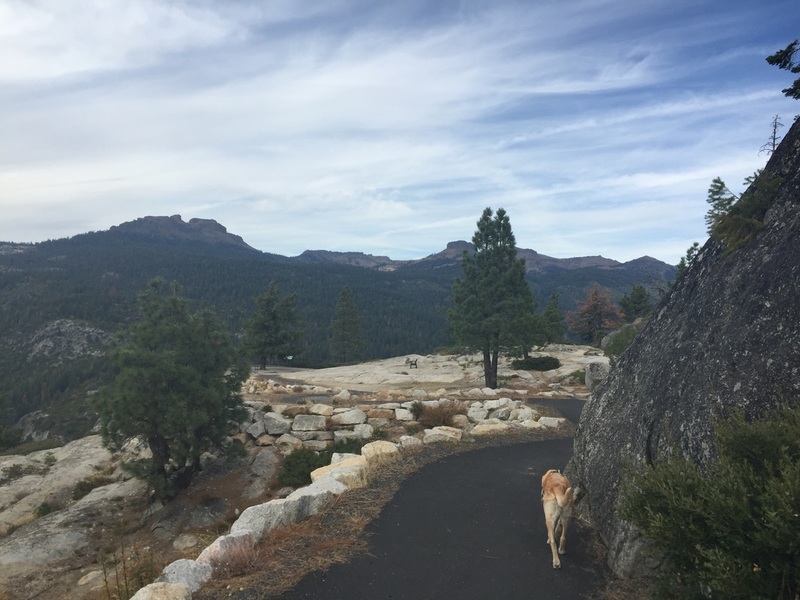 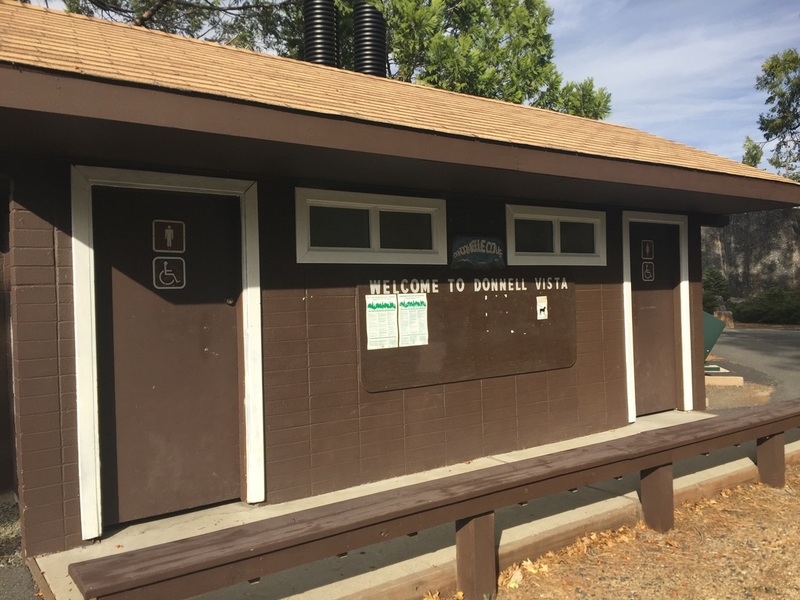 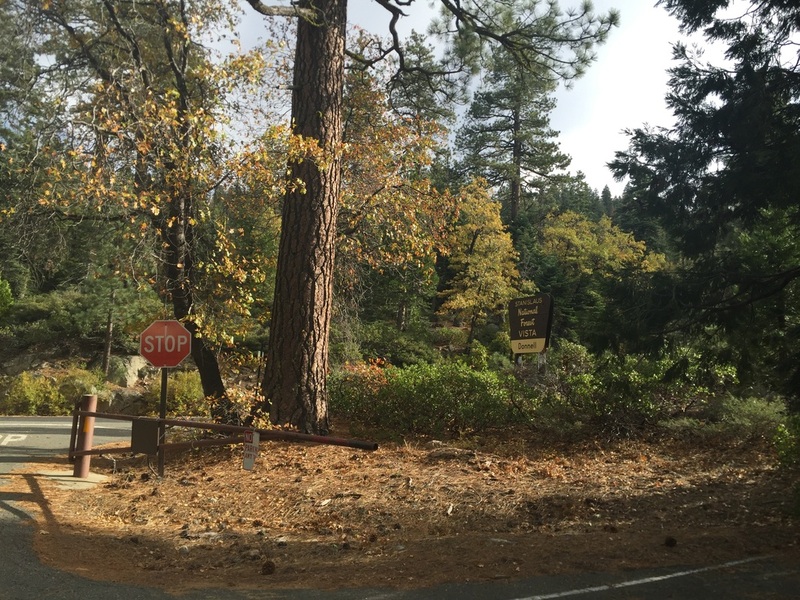 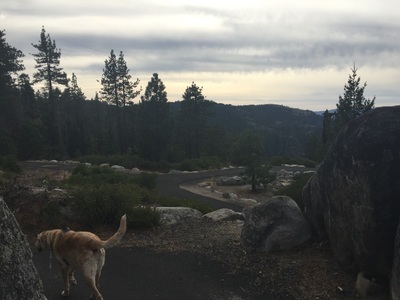 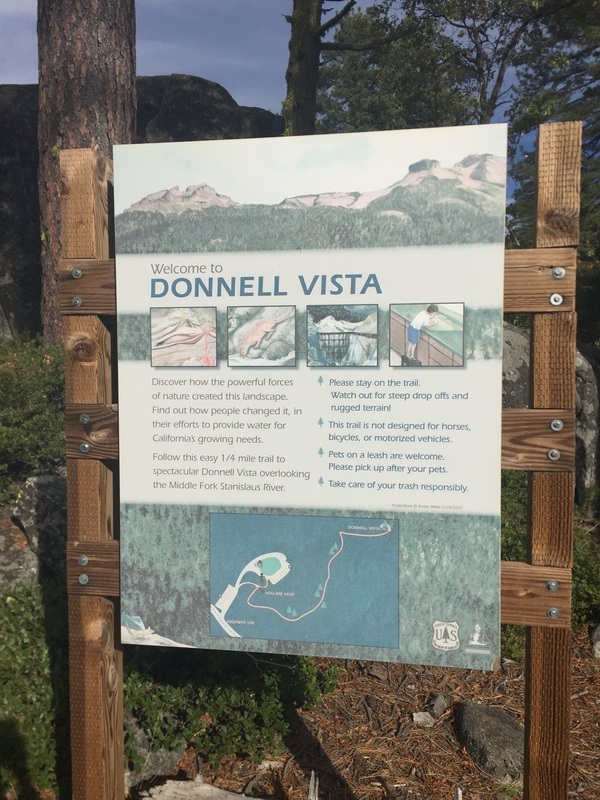 As you're traveling up Highway 108 East, after leaving Strawberry, you will see a marker on your left for Donnell Vista Point and the Stanislaus National Forest. Free parking is available here and it's a short, breathtaking walk to the lookout point.